For once, China’s loss might end up being India’s gain. The iPhone will go into mass production in India this year, Foxconn CEO Terry Gou has said. This will be a shift for Taiwanese company Foxconn, which is the largest assembler of Apple’s handsets, and has long concentrated production in China. Gou said that PM Narendra Modi had invited him to India as his company planned its expansion in the country. This won’t be the first time Apple will be producing iPhones in India — a plant in Peenya outside Bangalore already produces iPhones, but these are usually older models. Foxconn will now expand manufacturing into newer variants of the iPhone. It’s already started a trial production of the latest iPhones, before its starts assembling them at its factory outside Chennai. “In the future we will play a very important role in India’s smartphone industry,” Gou said. “We have moved our production lines there.” Foxconn already has factories in Andhra Pradesh and Tamil Nadu, where it makes phones for Xiaomi and Nokia. Foxconn’s India move be a big boost for the country’s manufacturing sector. Foxconn has said it will invest $300 million (Rs. 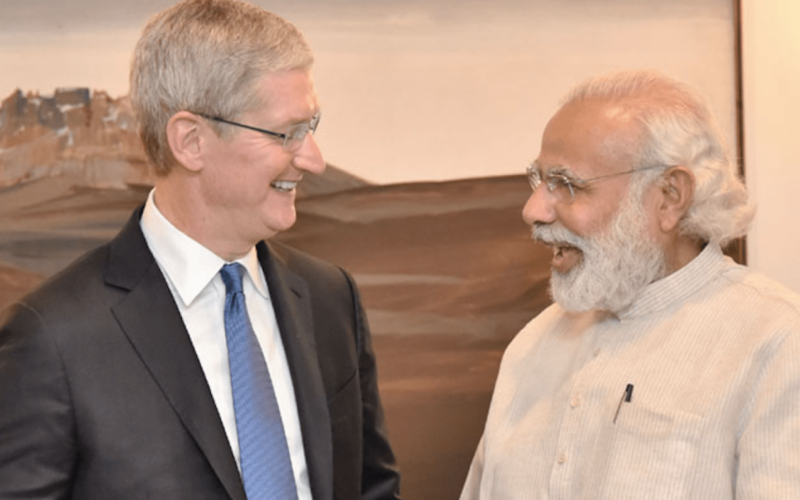 2100 crore) in its Apple facility, and would likely create many hundreds of manufacturing jobs. Foxconn has also said that it currently employs only about a dozen people in India writing software, and wants to grow this number to 600 going forward. It would make natural sense for Foxconn to move into India — analysts estimate that labour costs in India are as little as one-third of those in China. China’s smartphone market is also saturating. India, though, still only has around 400 million smartphone users, which leaves the market with enough headroom to grow. Apple, at the moment, captures a tiny fraction of this market, but as living standards and wages rise, could hope to corner a more significant share. Also, setting up a manufacturing plant in India will make it easier for Apple to open its stores in the country, given how Indian regulations require that 30% of components be made in India. But most importantly, Foxconn’s move to India is a ringing endorsement of the country’s manufacturing capabilities. For decades, India has been home to software manufacturers, but has lagged behind China when it has come to manufacturing hardware. With the world’s most valuable company now manufacturing its most popular product on Indian shores, it could well bring in manufacturers of other stripes to come and set up shop in the country.